SCHURTER – a leading innovator and manufacturer of passive and active electronic elements ensuring clean and safe power supplies, introduced a new product to the market. This product is a fuse in a compact encapsulation protecting photovoltaic module and similar DC applications against potentially destructive effects of short circuits in the systems with the maximum voltage of 1000 VDC. Recently, there has been a considerable development of photovoltaic systems. It is related to the increased requirements as to appropriate voltage values. The increase of the system voltage is to reduce energy losses connected with the length of conductors. 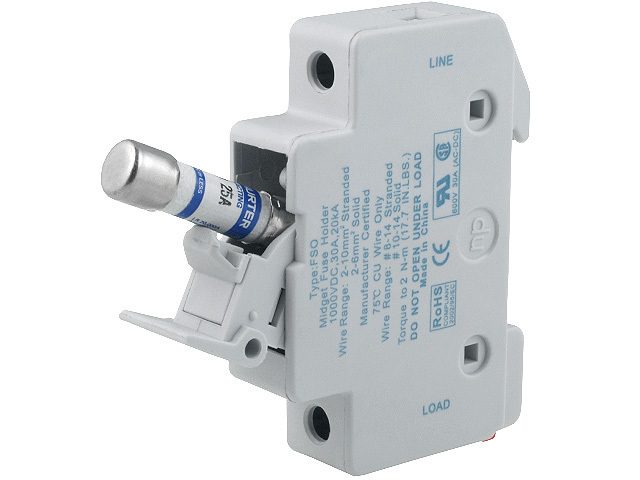 Standard circuit protection appliances break the damaged circuits to the required levels of the voltage. ASO series solar fuse meets the requirements of photovoltaic systems protection - IEC 60269-6 and UL 2579. This product is also compliant with the RoHS directive and it also holds the VDE certificate.